175 researchers (43% female) from 28 countries have completed the latest AuthorAID online course and received their certificates. 60% of the course completers came from Uganda, Tanzania, Nigeria, Mozambique, Kenya and Cameroon. This week, representatives of library consortia from across Africa have been meeting together in Ethiopia for the African Regional Meeting. Meanwhile in Ghana the VakaYiko consortium held its annual meeting at GINKS’ headquarters. Read discussions from the two meetings using the hashtags #inaspAfrica and #VY2015 respectively. Anne Powell and Peter Burnett will attend the IFLA conference in South Africa from 15th to 21st August. 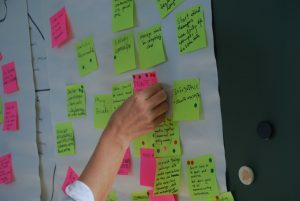 Generating and using research knowledge in Malawi – Practising Development, July 29, 2015 Sue Corbett shares some of INASP’s experience and observations about Malawi’s research system based on a recent visit and many years of working in the country. Library consortia sharing expertise: A small meeting tackling important issues in Addis Ababa – Practising Development, July 29, 2015 Seven library consortia have come together in Addis Ababa, hosted by the Consortium for Ethiopian Academic and Research Libraries (CEARL) and facilitated by INASP, to spend five days sharing ideas and learning, and collectively identifying solutions to some of the many challenges they share. Tip of the Week #244 – AuthorAID, July 29, 2015 Paraphrasing entails presenting material entirely in your own way. Changing one or two words or phrases does not make the material your own, writes Bernard Appiah. Capacity development for evidence-informed policy making in the Philippines – Practising Development, July 27, 2015 Ateneo de Manila University in the Philippines receives a grant for evidence-informed policy making (EIPM) activities within the INASP-led VakaYiko programme. Anne Lan K. Candelaria discusses why there is fertile ground for EIPM in the Philippines. Guest Post: From a Travel-Grant Recipient (and a Few Words about Electronic Posters) – AuthorAID, July 26, 2015 By Dr. Shristi Shrestha of Nepal Medical College and Teaching Hospital. Why Obama’s visit wasn’t the only reason for excitement in Kenya this week – Practising Development, July 25, 2015 Jon Harle reflects on some of the things achieved by our library consortia partners in Kenya. 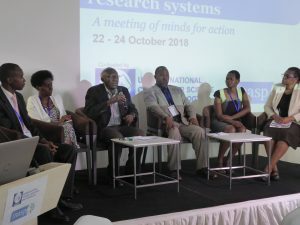 Global challenges, local knowledge – Research Information, August/September 2015 issue INASP’s Siân Harris discusses research in Africa, with examples from across INASP’s work. Live Q&A: What will it take to get better higher education in Africa? – The Guardian, July 30, 2015 Panel discussion featuring INASP’s Jon Harle. 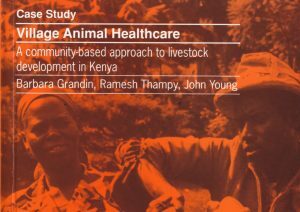 Scientific publishing in Tanzania: a ‘safi sana’ journey – Elsevier Connect, July 29, 2015 Article about the experiences of one of Elsevier’s volunteers with the TZAP: Strengthening Tanzanian Publishing project.